The fraudulent 2009 Iranian presidential elections clearly showed the world that in Iran, elections are neither free nor fair. In demonstrations that followed, the Iranian people were denied their basic rights to freedom of expression, association, and assembly as regime forces killed scores of protesters and detained thousands more. The regime's repression would not be possible without technology and equipment provided by Western and Asian firms. 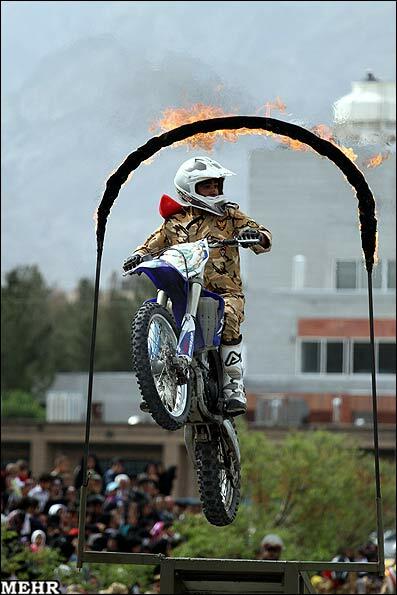 Whether it is telecommunications technology misused to restrict and monitor internet and cellphone communication, motorbikes ridden by the basij to terrorize civilians, or construction cranes used to hang dissidents, foreign firms providing such equipment must immediately end their Iran business or become willing partners in the regime’s ruthless human rights abuses that have continued unabated since 2009. In 2012 Iran executed at least 580 people, with 60 of these executions carried out in public. Executions and other forms of violent corporal punishment, such as public lashings, send a clear message to the Iranian people that dissent will not be permitted, on penalty of death. The most extreme form of this intimidation is public executions. Most public executions are carried out using construction cranes of foreign manufacture. Through its Cranes Campaign, UANI has succeeded in pressing a number of foreign crane producers to responsibly end their Iran business, but a number remain, including: Atlas Cranes, Cargotec, XCMG, and Zoomlion. Nokia Siemens Networks technology (and that of its now divested unit Trovicor) was used to monitor and block communications by protesters. Ericsson and Creativity Software technology was used to track dissidents based on their cellphone location. On behalf of its client MTN Irancell, Huawei suspended text messaging and blocked the Internet phone service Skype. Since the 2009, the regime has also blocked public access to popular social media websites such as Facebook, Twitter, and YouTube, while Ayatollah Khamenei has self-servingly maintained his own accounts on these platforms. The Iranian regime misuses surveillance technology to suppress the citizens of Iran and maintain its iron grip on power. Iran’s cyber police have also required internet cafes to install 24-hour surveillance cameras in order to further restrict the freedom of Iranian internet users. Companies that sell video surveillance systems to Iran include such household brands as Sony, Samsung, LG, and Panasonic. The Iranian regime abuses Iran's nuclear program as a means to garner support among the population, particularly for its reckless and hegemony-seeking foreign policy. This is despite the fact that the regime’s nuclear program has resulted in severe economic sanctions that have caused significant hardship for the Iranian people. A number of foreign companies continue to assist Iran’s nuclear drive. NFM, and SELI sell Iran tunnel-boring machines that the regime uses to dig massive underground tunnels and facilities that shield and obscure its nuclear program. 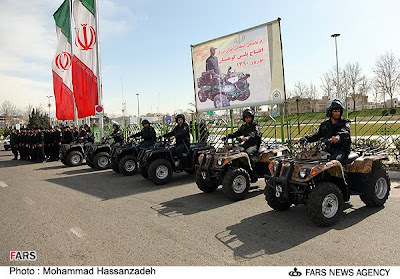 In order to intimidate its citizenry and suppress demonstrations, the Iranian regime fields a fleet of riot trucks, police cars, and motorcycles. An emblematic image of the crushed 2009 election protests was members of the basij militia on motorbikes chasing down and beating protesters. Iran’s state-controlled auto industry also manufactures Peugeot and Renault vehicles en-masse.